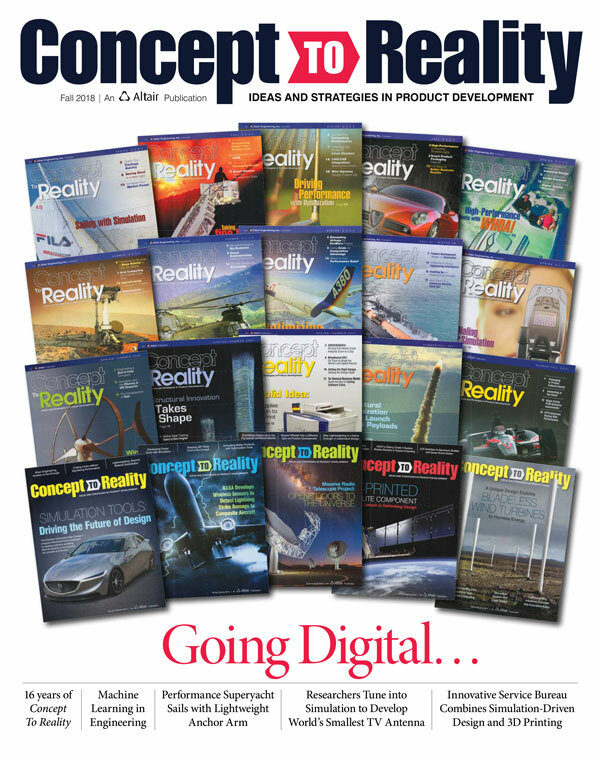 Concept to Reality is a magazine that focuses on cutting-edge design development, innovative product strategy, and global process automation issues - as well as promoting "outside the box" competitive business solutions. Experts in broad industry classes share technology insights, industry trends, opinions, case studies, global perspectives and material relevant to product development technology solutions and processes. Over 50,000 industry professionals in executive and engineering management receive Concept to Reality. Begin receiving this complimentary publication by completing the magazine's online subscription form. Concept To Reality is published bi-annually for Altair Engineering, Inc. by Penton Custom Media.